Baking Soda Clay. Have you seen this one pop up on Pinterest? (Examples here, here, and here.) With a simple combination of baking soda, corn starch and water, you can mix up a beautifully white, smooth, and soft batch of modeling clay. 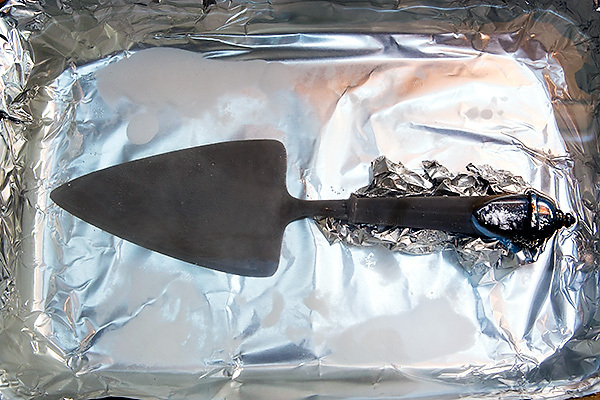 You mold it or roll it, and then bake in the oven to completely dry it out. It makes gorgeous clay bowls or Christmas decorations, or fun little critters in the hands of your kiddos. Or does it? 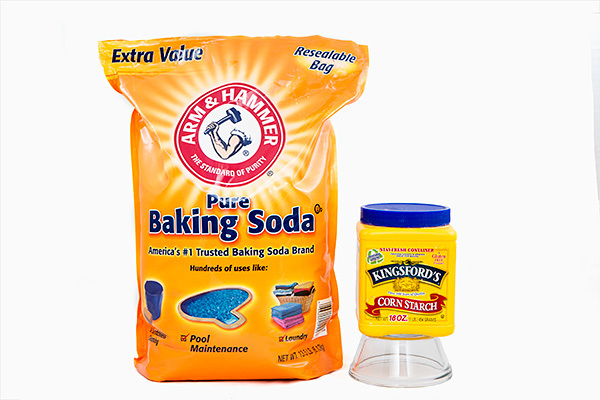 Does homemade baking soda clay really work? Baking Soda + Corn Starch + Water = homemade modeling clay? When I saw this recipe for homemade baking soda clay on Pinterest, I knew immediately that I wanted to try it. The ingredient list was short and easy, and the mixing directions straightforward. It was something I could do with the kiddos too, which is always a bonus for me. I thought it would make great Christmas ornaments (and gifts) if we rolled it out and used cookie cutters to make Christmas-y shapes. The recipe went together easily, just like the other bloggers promised it would (kind of like instant mashed potatoes). We waited until it cooled and then rolled it out and cut it just like sugar cookie dough. I dried the ornaments out in the oven, as instructed, and left them on a plate for about a week before we got around to painting them. (Because as pretty as snow white ornaments are, when you’re a kid, painting them up is even better). When I pulled the unpainted ornaments out of their hiding place, I noticed immediately that a number of them had cracked or broken into pieces. It seems that many had warped or curled as they dried, and just the weight of another ornament on top was enough to break the bottom layer. So we lost about a quarter of the ornaments right off the bat. As the kids were painting them, I realized how fragile these things really were. We lost another quarter just by the kids handling them. My little guys are 4 and 2, so they’re still working on perfecting gentle, but by no means were they crazy rough with them either. I also noticed that any paintbrush water that got onto the ornaments started dissolving the clay after a few minutes. I guess that oven drying time was only to dry, and not to cure, as I had hoped. Overall, this homemade baking soda clay was a Green Idea Fail. 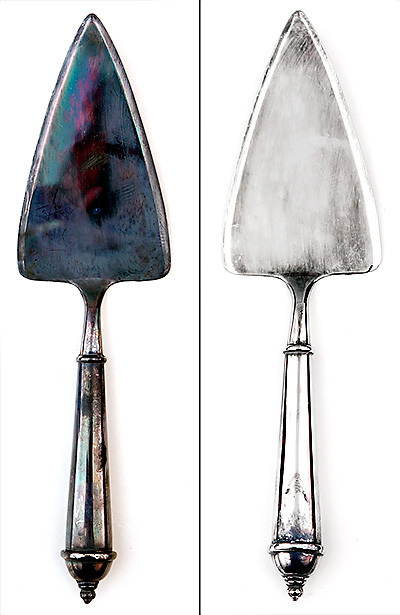 It was easy to make and fun to work with, but did not dry well, or handle well when dry. I would recommend it as a cheap easy recipe for children’s play clay, but not for any serious arts and crafts work. I’m not sure if I mixed it up incorrectly, or rolled it too thick, or dried it too much, but this did not work for me. 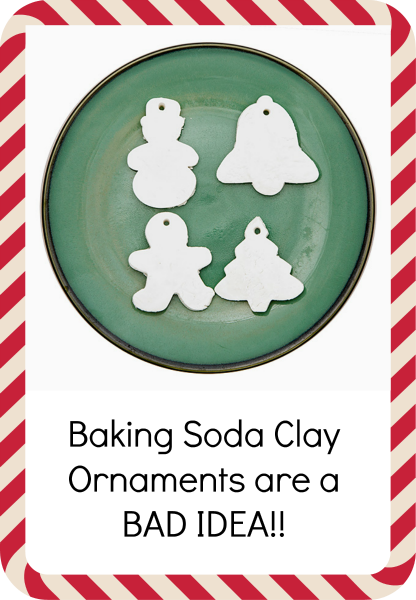 Have you ever tried out homemade baking soda clay? Did it work for you? 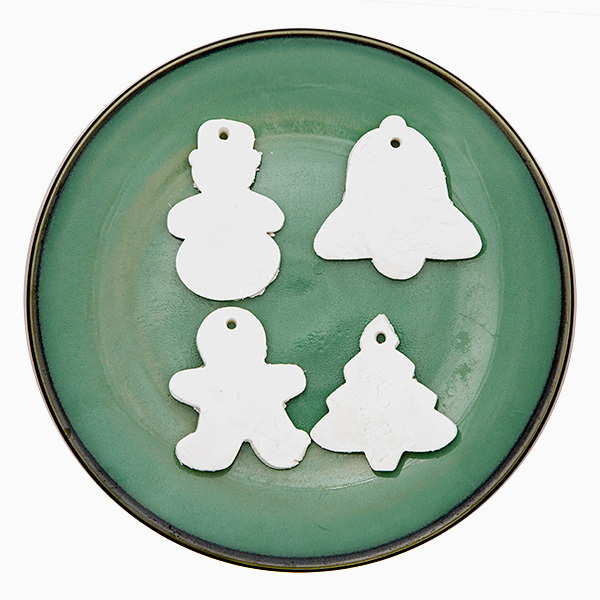 Or do you have a better recommendation for Christmas ornament clay? 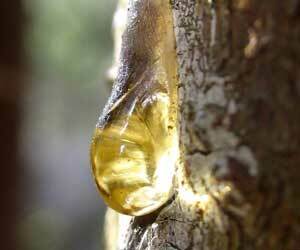 Tree sap or resin is a sticky substance that oozes from trees, particularly coniferous (or evergreen) trees. Once it gets on your clothing it can be very difficult to remove, as water seems to have no effect on it’s removal. There are chemical based bottles of goop on the market that can help you remove it, but they can be expensive, and the safety is questionable. Can rubbing alcohol, something cheap that you already have at home do the job? Saves money – rubbing alcohol is super cheap! 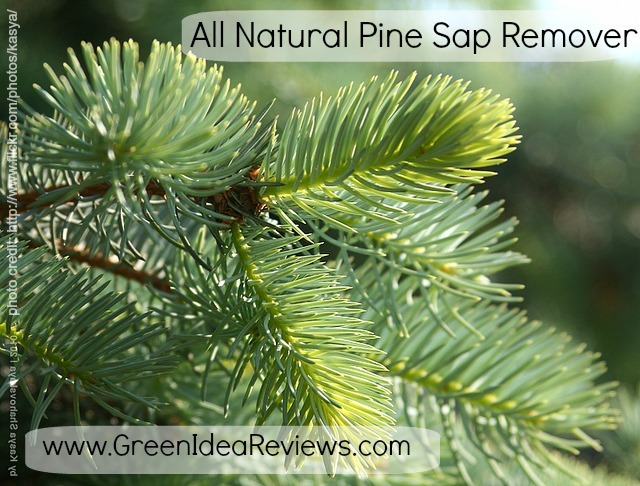 Easy – rub the sap away, and it’s gone! Icky, Sticky tree sap, just waiting to gum you up for the holidays. Photo Credit. Honesty time: I can’t take credit for this review. Today as we were getting ready to go out my husband says to me, “I’m doing a Green Idea Review!” It turns out that he had gotten some pine tree sap on the seat of his favorite jeans, which did not come out in the wash. He decided to try a different to remove it. What a perfect thing to test out during the winter (tree cutting and wood chopping season)! I was so proud! He poured a tiny bit of rubbing alcohol on the sappy spots, and rubbed it in with his fingers. The sap immediately started to dissolve and disappear. Immediately! There was a bigger spot that needed a second dose of alcohol, but when wet again, the remainder of the sport came right out. Then he draped the pants over a fan, and the spot was dry within a couple minutes. So there you have it. Quick, and simple, easy sap removal. I’m sure this tip will come in handy during the holidays as many of us will find ourselves inviting whole trees full of sticky sap into our homes! 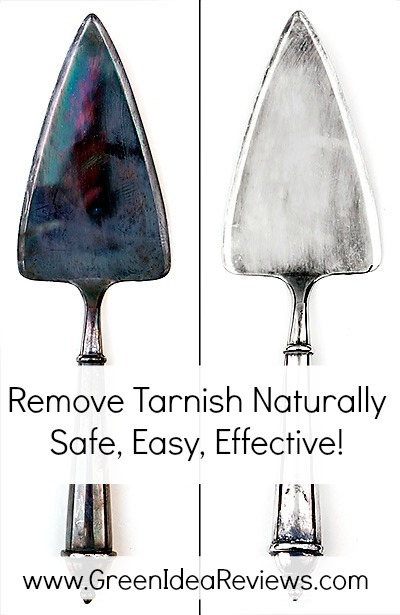 Have you ever tried this nifty trick? Do you have any other strategies for getting sticky pine tar out of your clothing? P.S. – please remember to do a test spot in an inconspicuous place to ensure that you aren’t about to discolor or otherwise ruin your fabric!